To date, New Zealand’s fishing Quota Management System (QMS) has had no independent review in over 30 years. This has been a long-standing call by the public and numerous organisations in Aotearoa, including Greenpeace Aotearoa New Zealand with nearly 15,000 people supporting our petition for an independent inquiry. Hence, we are disappointed by the fact that Fisheries New Zealand is conducting this internal review process and not fulfilling the Labour Party election commitment of an independent review. Secondly, we are extremely disappointed by another key commitment in fisheries management has (to date) been unfilled, with the commitment to install cameras on fishing vessels as an essential on-board monitoring program for illegal activities. Without the camera monitoring program proposed as part of the Fisheries Review, then the proposals currently set out in the review are superficial. For any changes to the fishing management system that is separate from the camera monitoring program will ultimately create costly redundancies and ineffective schemes that will not substantially change the status quo. Hence, we call on the Government to uphold the commitments of the camera monitoring program and include this proposal as part of the Fisheries Review process and not as a separate process, as many of the current proposals in this Fisheries Review cannot be effective without the camera monitoring program. It is important to mention that we do agree that this public consultation process should take place in any review of our NZ fisheries management system. That is why, we do accept the opportunity at this time to provide our own submission to the Ministry in this letter. However, rather than commenting on each individual proposal and answering the questions outlined in the Fisheries Review process, we have chosen to provide our own proposals and recommendations, outlined below, to the Ministry to provide a pathway forward to effectively and cost- efficiently create the necessary system changes to the fishing management of New Zealand. • Independent review: For a fair and transparent fisheries reform process, the Ministry must undertake a third-party independent review of quota management system with an independent third party outside the Ministry of Primary Industries. This public consultation process can be completed in conjunction with the findings and recommendations of an independent auditor, whereby that information is publicly available. • Cameras on boats: There must be either cameras or human observers on all commercial fishing boats without further delay. The New Zealand Government and compliance officials cannot enforce the rules if we don’t know when they’re being broken. On-board transparency is vital to protecting our ocean wildlife and ensuring fishers report by-catch, and don’t overfish or dump fish at sea, ensuring the integrity of our Quota Management System (QMS). • Zero by-catch goal: We support Forest & Bird’s call that we should only catch what we eat. 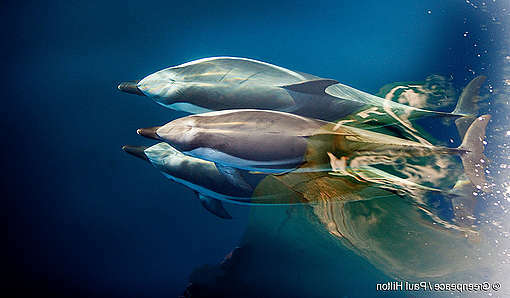 Fishers must use fishing methods which do not kill birds, dolphins, sea lions and other non-target animals. 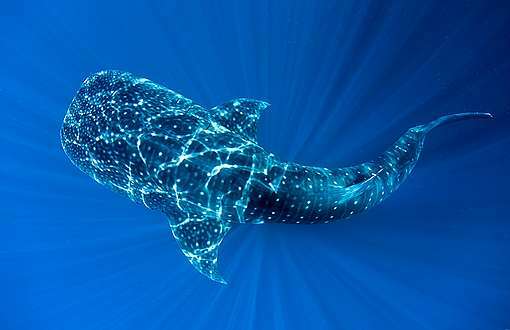 On-board technology and techniques already exist which can protect these animals. Regulations must make these methods mandatory. • Protect the whole environment: Commercial fishing must ensure the health of the whole marine environment. The Quota Management System only looks at single species and it allows overfishing, fish dumping, and habitat destruction, while ignoring the effects this has on other wildlife and ocean ecosystems. The QMS must be amended to protect the whole marine ecosystem and reward the best fishers, not the worst. • Fishing for the future: Climate change is causing the ocean to change too. Sea life is being impacted by warming water, storms, acidification, and changing currents and food patterns. 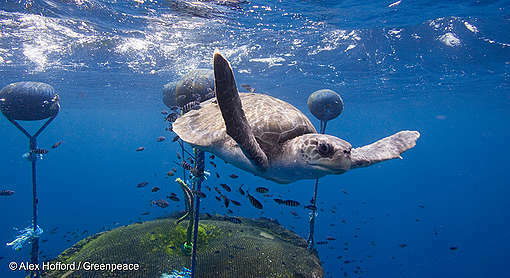 Commercial fishing must not be the final straw for stressed ocean wildlife. Fishing management must account for uncertainties in climate and ocean science, and use a precautionary principle for commercial fishing, not just hope for the best. • No new quota. The amount of fish that’s allowed to be caught must be based on science and what’s best for the ocean, not what is best for fishers’ profits. Commercial fishers must not be given extra free fishing quota to allow them to catch and retain undersized fish (see Question 1 of Fisheries Review section ‘amending the rules for commercial fishers’). Today, Greenpeace is launching one of its biggest conservation efforts yet, calling for a network of ocean sanctuaries to be created across the globe. A scientific report released today has mapped out how to protect over a third of the world’s oceans in the next ten years.